Magnetic Resonance Imaging (MRI) uses a strong magnet and radio waves to produce very detailed images of the area your doctor wants us to examine. There is no radiation. You will be asked to provide the technologist a detailed medical/surgical history which will include information on any medically implanted devices. Patients with certain medically implanted devices will not be suitable candidates for MRI. This screening is for your safety due to the strong magnetic field. Allergies, kidney problems, and if you are pregnant. MR units make different "knocking noises" to produce images during the exam. You will be given headphones for music or earplugs for your comfort. 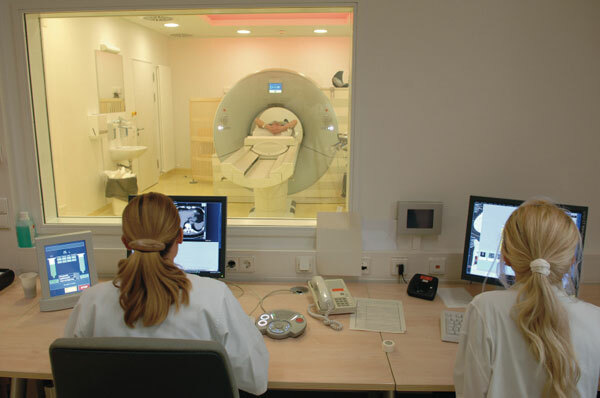 The MRI exam will take 20 to 60 minutes depending on what exam is ordered. The technologist will monitor you throughout the exam.